What Does it Take to be a Ballerina? One might think that choosing to be a professional ballerina is a rather unconventional career path to choose, yet what most people do not know that it is not only becoming a ballerina rather tough, but there is a great deal of competition between those who wish to make it big in this field. If you want to know how to be a ballerina, you must ensure that you are willing to give it your best. If you are not willing to commit yourself entirely then this is certainly not the line for you. 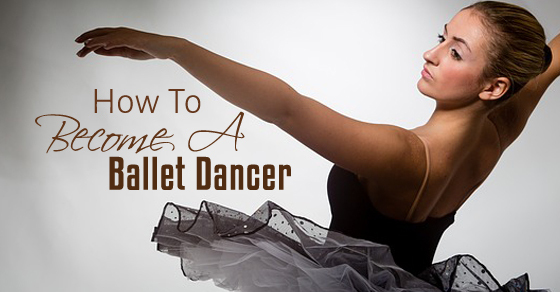 If you are serious about becoming a ballerina, then you should follow these steps in order to help and guide you along the way. In order to become a ballet dancer, it is very important to seek formal ballet training. You cannot expect to make it big in the field if you do not seek the right kind of guidance and help. It is vital that you get professional ballet training from the best. Ballet schools and academies are available in all big cities and you should be willing to spend the money if you want to make a career out of this ballet dance form. Invest the money and you will be able to reach very rich dividends in the time you come. Having a good teacher and mentor will be of immense source of guidance, help and support. In order to be a ballet dancer, you must ensure that your muscles are strong and powerful. In addition to the training which you receive you should spend your time doing some cross training as well. Cross training implies doing some other physical activity which will help you to keep in shape and increase your strength. Such training can include activities like hiking, cycling, yoga, power walking etc. Indulging in these things will be of immense help for you in the future. As you do more cross training your body’s stamina will increase. Ballet schools accept children who are as young as five or six years old. When you train children from a young age, not only do they develop an interest for the dance form at a young and tender age but they also are able to become graceful and petite as well. Once a person is too old then he or she will find it tough to train the body to move in the distinct manner in which a ballerina does. Maintaining a ballet body or ballerina body is difficult for elders when compared to young ballet dancers. If you wish to become a ballerina you cannot think that one or two hours of praise per week is enough. You must dedicate a lot of your time to the dance form if you really wish to choose it as your career path. The more time you dedicate the better it is going to be for you. If it is truly your passion then it will not seem like a burden upon you, rather you will enjoy your training sessions and you will continue to try out the new things which you have learnt at home as well. So ensure that it is something which you are genuinely interested in. Doing ballet might look very easy but it is most certainly not. One cannot become a ballerina over night and it takes years of practice to even be able to point your toes in a proper manner. A ballerina is the picture of dignity and poise, these things don’t come easy. Not everyone is cut out to become a ballerina especially if they have no coordination and they are unable to move in a graceful manner. A true ballerina is a pleasure to watch as a dancing ballerina moves resembles that of a delicate swan. Wanting to become a ballerina is not merely enough; you must ensure that you have what it takes to become one. Paying attention to detail is very important if you want to become a ballerina. You must ensure that you pay attention to every little thing your teacher is showing you whether it is the movement of her hands or the manner in which she is positioning her feet. Every mistake you make will be noticeable on stage and that is why you should spend your time trying to perfect whatever is being taught to you and ensuring that your lines are absolutely perfect. If you wish to be a ballerina you must ensure that you are someone who can work well in a team and that you have no trust issues. Most performances are put up in groups and if you are unable to get along with others then you will not do well as a ballerina. So do try and work on your people’s skills and ensure that you do not let jealousy or other petty things come between you and your success. Have your head on your shoulders and always be willing to help a person who is in need. In order to make it big as a ballerina, you must ensure that you are not someone who moves along with the herd and have a powerful personality of your own. You should let your personality shine forth even when you are dancing in a group. In addition to this you must ensure that you have the confidence to put up a performance all on your own without feeling shy or scared. Opportunities to perform solo do not come along often and that is why you should ensure that you are making the most of whatever chance is given to you. Eating correctly is a very important part of becoming a best ballerina. You must ensure that you do not get tempted to eat fatty foods that will make you put on some weight. Your trainer or teacher is bound to give you a ballet diet chart and you must ensure that you follow it carefully. A professional ballet dancer or ballerina doesn’t starve herself; rather she eats the right kinds of food which will keep her in shape in addition to providing her with plenty of energy. Drinking a lot of water is also very important. A ballerina might look thin and lacking in strength but actually they are very strong and have tremendous strength and stamina. In addition to being physically able, a ballerina must have a great amount of fortitude to deal with criticism and rejection that might come her way. Even a minor mistake can cost her a lot and that is why she should accept all trials with courage. A ballerina is always expected to be controlled and never give went to her emotions in a loud, crude and undignified manner. To become a ballerina you must be willing to dedicate a lot of your time to training. Yet in addition to this you must ensure that you do take some time off as well and give yourself a break occasionally. Many people in the attempt of becoming professional dancers like ballerinas over work themselves and over time they lose their actual passion for the ballerina dance form and think of it as just a dance career. No matter what, you should ensure that you retain the love which you have for the dance form and continue to keep the fire burning within you. As mentioned above seeking formal training is the best thing to do as a teacher will help you to go one step at a time. You should ensure that you are perfecting one thing at a time rather than trying to be a Jack of all trades. You should not be in a hurry to learn new things, just take it easy and go with the flow. Not everyone has the same ability. Some people are able to pick up things faster than others. To become a best ballet dancer it is very important that you acquire the right costume or dress so that you not merely look the part but you also feel like a true ballerina. The costume is usually very delicate looking. For ladies, the uniform most often consists of some stretch tights, a leotard as well as a skirt which is made of georgette fabric. The costume is light and facilitates movement. At a young age, ballet dancers usually dance without any kind of footwear. Yet when they grow up their teacher advises them to put on special kinds of shoes. Injuries are a part and parcel of being a ballerina. If you wish to become a professional ballerina you must be willing to deal with the injuries and not let them get the better of you, no matter what. You should read up in order to know the manner in which the body functions and the various pressure points in the body, so that you can minimize your injuries. In addition to paying close attention to whatever your teacher is teaching you at a given point in time, you should ensure that you watch the performances of other dancers as well and allow the things which they are doing to influence your style as well. The more you learn and expose yourself to the better it is going to be for you. Don’t let your knowledge be limited to what one teacher is telling you. But, ensure that you do not confuse yourself trying to take in too much from various diverse sources. Once you have taken note of what your teacher has told you as well as what you have seen of other professional dancers, you should try to experiment a little more and put your own ideas and practice. Ballet is after all a form of art and you should not shy away from changing things to suit your own self. Start from the bottom, acquaint yourself with the ballet basics and then go ahead and expand your wings. You will be surprised with what you are capable of doing. A truly good ballet dancer has courage in her own belief and never doubts herself. Ballet is a beautiful dance form and you should look at it as a means to channelize your energy and express your emotions. Very often what people are unable to express via their words, they are able to convey via their dance. The more you practice the more proficiently will you be able to do this. If you are feeling sad, do not stay away from your ballet class, rather use the opportunity to vent your emotions and let people know what you are going through via this powerful medium. So after going through the steps on becoming best ballerina in the world, you must have understood that your path is going to be fraught with a lot of obstacles. If you give in and lose faith in yourself, then you will never be able to achieve success. Continue to have faith in yourself and your abilities and you will be surprised at what you will be able to achieve. Take one day at a time and constantly practice what has been taught to you. Over time, you will be able to become a successful ballerina that is poised, graceful and a delight to watch.